Lychee E-Juice is a sweet and light fruit flavor with a pleasant aroma. The lychee fruit is filled with juicy goodness and has the texture similar to a grape. It tastes similar to a mix between a pear and a grape, which, in fact, tastes absolutely amazing. 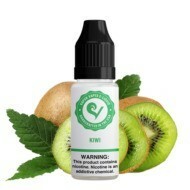 This delicate vape flavor won’t overwhelm your tastebuds and can be enjoyed all day long. Get a truly exotic fruit taste with Lychee E-Juice. Final Thoughts: I got extra flavor with 18mg, although way too peppery and I taste it alittle; if I lowered it down to 6mg I would be sure to taste it, however lychee has always been a weak flavor whether candy or bubble tea and so on. So don't expect much unless you really like lychee. 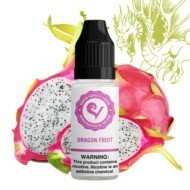 And if you do get the EXTRA flavor and stay under 6mg (dunno about 12mg) I really like lychee but this is not something I'd stick in my vape arsenal expect a few ml from time to time because of the mellow flavor, it gets boring fast. Final Thoughts: It's not a bad flavor it just doesn't taste like Lychee. I've had a Lychee liquid before and it was great but this one doesn't taste much like it. If anything it taste like sweet flowers. Pros: Shipping was very fast. Cons: Not great, it's fruity but kinda weird. Cons: I tired this both in mentol and on its original with extra flavor in it. Supposedly, when u add extra flavor to something it should taste good. For me, it did not at all. It taste like fried sweet potato and i dont find it close to the lychee flavor i am used to. Final Thoughts: The fruit tastes great fresh but the juice well I will cross my fingers that there's hope for this flavor. Pros: I think that it does taste like the actual fruit. It was enjoyable but not as enjoyable as I had hoped. Cons: The flavor is not very strong, definitely needs a stronger lychee flavor. Final Thoughts: If you prefer lighter flavors then definitely try this, I prefer the 50/50 as well. Pros: My favorite e-Juice on this site, at the moment, and my favorite I've ever tried! Final Thoughts: The lychee is very tropical and exotic. I, personally, love tropical flavors! This is my third time buying lychee, 50/50, 18mg-- first time buying a 50mL bottle! For those who are daring and would try a delicious, tropical fruit-- go for it. Just don't add anything to it, or you'll regret it! Thank you so much Vapor Vapes. You're my favorite site for everything e-Juice and Vapor. Cons: Double flavor, 6mg nicotine, 50/50, double sweetness& a hint of menthol= nasty! Smells and tastes fishy. What a waste of $9. Final Thoughts: Money down the drain. Cons: Tastes like a weak Beetlejuice I ordered pv/vg of 10/90 and received 100 vg to thick. Pros: Love it I order every time when I place my order. I would like to see a Mango mix with this flavor. Final Thoughts: A lovely sweet flavor and smooth. just got mines in and I tried it it's awesome loving the flavor thanks.